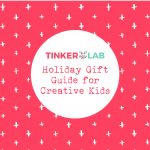 I’ve been busy working on a series of TinkerLab Gift Guides for games, books, and tools that support creativity, imagination, experimentation, and curiosity…the backbones of invention and innovation. Hours of research and testing have gone into making these lists a valuable resource. 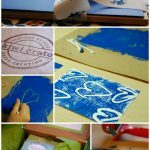 If you want to support creative thinking at home or school through play, these games that encourage creativity and imagination are for you! 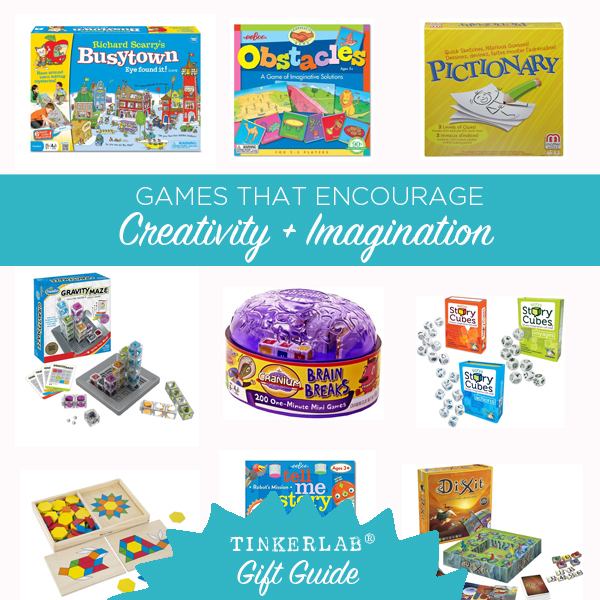 All of these games are all kid-tested and celebrated for their ability to encourage creative thinking, making, open-ended discovery, and imagination. 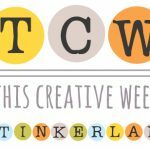 There are games for toddlers, preschoolers, big kids, and families. This list contains affiliate links. Prices are subject to change. For the first guide in this series, be sure to check out our Favorite Toys for Builders and Engineers. 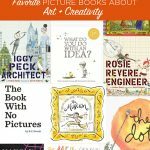 This makes for an entertaining night, it’s a great way to get to know your family and friends, encourages creative thinking, and works really well for a crowd. Little ones can join teams with older children or adults so the entire family can play.We recently took played this with a group of 8 and 9-year old girls, and they spent 30 minutes on just one thought-provoking card! The cards have challenges such as “Each team gets 7 minutes to write a new national anthem and subsequently sing their newly created song” or “Everyone gets 3 minutes to make up the definition to a brand new word created by the host. The host will pick his favorite.” From GNIAC: Create mythical animals, rewrite a national anthem, choreograph a new dance move…use your imagination for fame and glory. It’s the perfect gift for holidays, birthdays, happy days and more. 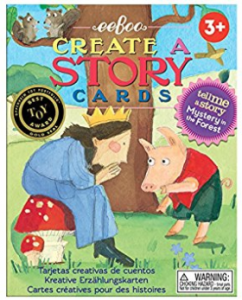 This deceptively simple deck of cards encourages storytelling, literacy, creativity, and imagination skills. Each card in the deck is an illustration that’s loosely related to all of the other cards. There are so many ways to play. One of our favorites is to shuffle the cards and turn them over at random to weave a story together. 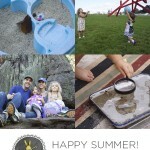 Sometimes my husband or I tell the story, sometimes the kids take the lead, and sometimes we collaborate. We’ve had this game for a few years and I can’t say enough good things about it. 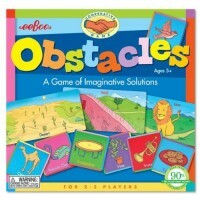 The object of the game is to go down a path toward home, but along the way you have to pass obstacles such as a tall mountain or a fence with security wire. Using the “solution” cards in your hand, you have to figure out a creative way to overcome or bypass the obstacle. This can be a cooperative game with grown-ups and kids working together to come up with clever solutions. 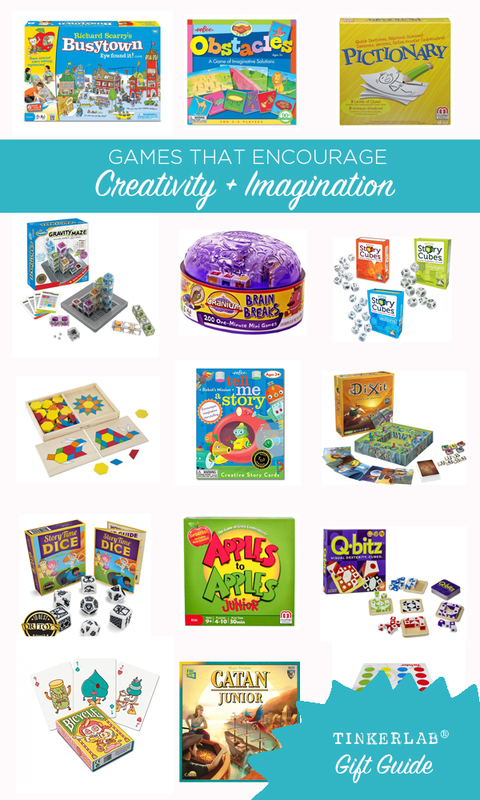 Encourages cooperative problem solving, imagination-building, and creative thinking. 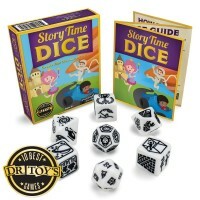 Named one of Dr. Toy’s Best 10 Games of 2015, the idea of these is similar to the Tell Me a Story Cards, this set includes a dice guide and four suggested games to play, with millions of possible story combinations. The dice represent different story elements such as heroes, obstacles, villains, prizes, and settings. I just ordered a bunch of these for friends and stocking stuffers. 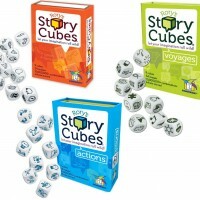 Similar to the Story Dice (above), the images on these dice are a bit more abstract and can lend themselves to a broader spectrum of stories. We have both sets and you could easily combine them together. One set for $6.49 makes a great stocking stuffer. 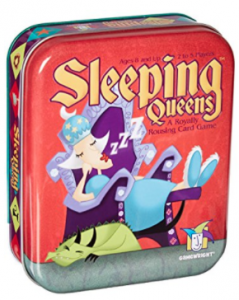 This game encourages humor, imagination, image interpretation, strategy, and storytelling. Our family loves it! We first played this with three generations after Thanksgiving dinner, and it was a hoot. Everyone got into the game. The game cards include gorgeous art that’s open to interpretation. 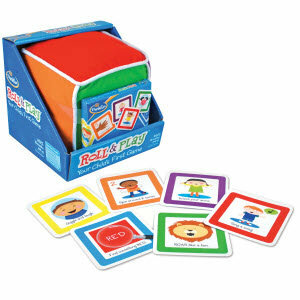 The game doesn’t require any reading, so it’s perfect for children as young as 4. This game has 500 5-star reviews on Amazon, so something is working. Make wild comparisons while building vocabulary and critical thinking skills at the same time. While the game is recommended for ages 9 and up, independent readers will be able to play. When we play with our little ones, we help them read the words and we all have a great time. For four or more people. 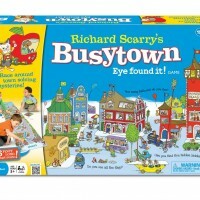 This classic game doesn’t get old, and this version has been updated for young children to enjoy, too. It comes with a marker and wipeable board, but you could easily play with your own pens and paper. It’s not the same as the original game, but an improvement is that it includes 1200 adult clues and 800 junior clues so that the whole family can play. You can find a copy of the original Pictionary here and Pictionary Junior for young children here. 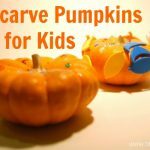 This is such a fun game for families with older children. The object of the game is to circle the board while sketching, sculpting, acting, humming, and puzzle-solving along the way. 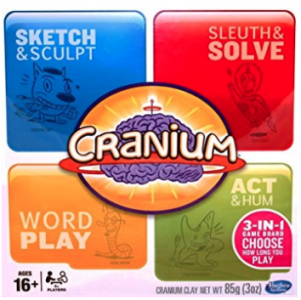 It will keep you on your toes with vocabulary challenges, trivia, charades, trivia, and drawing. 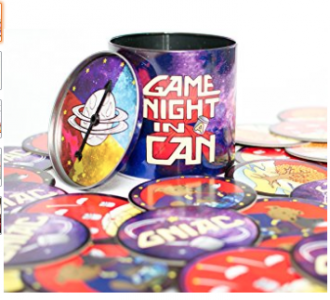 The game lasts 30 minutes to an hour and the box includes Modeling Dough, Paper, Game Pieces, Timer, Instructions, Game Board, Dice, and Cards. The online price went up in 2017, but it’s still a great game. Match shapes to patterns and illustrations. 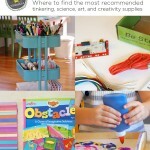 Good for hand-eye coordination, matching, shape recognition. Made from wood. You can also take the illustrations away and just use the blocks for open-ended imaginative play. 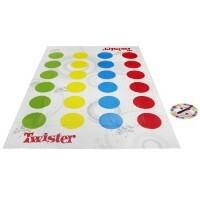 Not exactly a board game, but I love how Twister supports creative thinking skills in relation to movement encourages physical activity. This one takes me back to my childhood. Put your hands and feet at different places on the mat without falling over. Pull out a bock without crashing the stack. This game is reasonably priced and it appeals to all ages. A family classic. 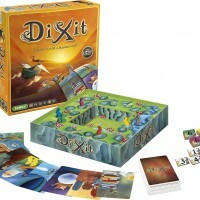 This is a fun logic and strategy game for up to two to four players, and can be adapted for more players. The game doesn’t require any reading, so emergent readers can easily play, and it’s entertaining enough for adults to enjoy. 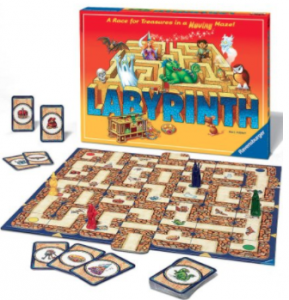 Use the Labyrinth board design to create a series of mazes players must move through. The objective is for each player to collect all seven treasures on their treasure cards as quickly as possible. The pieces are sturdy and every game is different, which keeps it interesting over time. 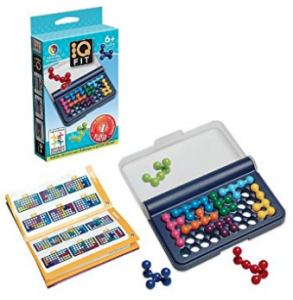 This affordable gift is great for little builders who like the challenge of solving puzzles. 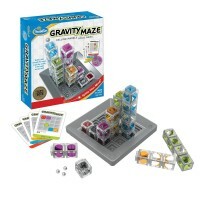 Similar to Gravity Maze (below). 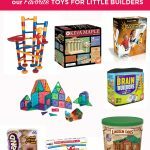 If comes with challenge cards – match the plank design to the cards while practicing construction skills, hand-eye coordination, and pattern recognition. This one works the mind in big ways and encourages spacial reasoning. This is a logic game for puzzle fans who enjoy marble runs. 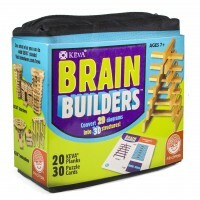 It encourages critical thinking skills, logic, and strategy. You’re invited build your own marble maze by looking at puzzle cards that show the entrance and exit spots of the marbles. Can you figure out how to build the maze between these two points? My kids have also taken it a step further to build their own mazes. A good mind bender! 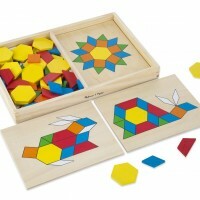 This fun, fast-paced game teaches pattern recognition, fractions, spatial reasoning, memory, and hand eye coordination. It’s small size makes it a convenient game for travel, and it will appeal to all ages. My kids just got one for Hanukkah, and it’s sure to be a family favorite. We were introduced to this game at our school’s STEM night. They had about 6 sets out and the kids had a great time figuring out how to fit the pieces together. 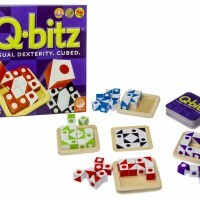 It combines math, spatial relations, and logic. If you like tetris, this game has a similar vibe. 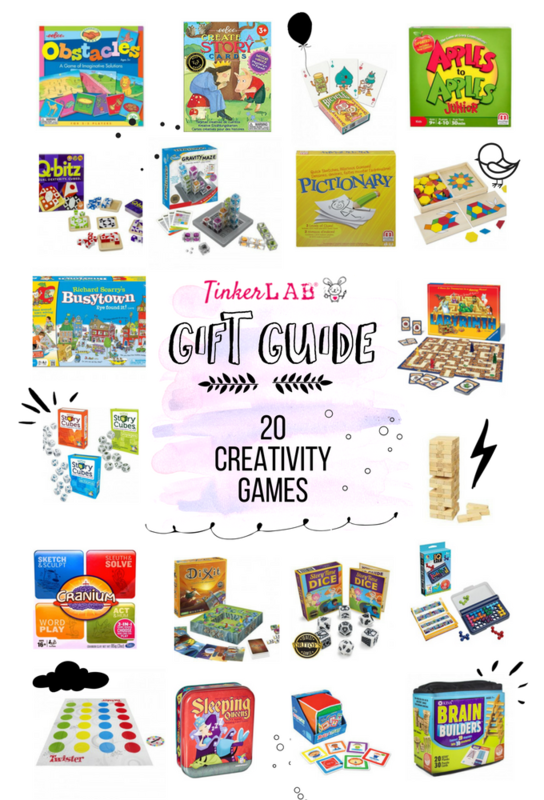 My husband suggested that I add playing cards to this list, and boy is he right since they support open-ended play through the limitless games you can play and invent. 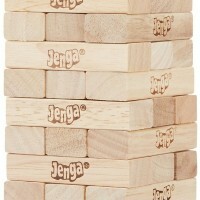 This game is a family favorite, never gets old, and its small size allows us to easily travel with it. One of my favorite things about this game is that it was invented by a child. Our game came with the back story, and it’s a great message to share with kids — they are fully capable of designing their own games! The game is easily played by children younger than 8, and my then 5-year old loved it. My girls are REALLY into cute characters, and these cards are right up their alley. Each card is different and they are super creative designs. Brosmind is a design studio in Barcelona, Spain, founded by Juan and Alejandro Mingarro and their bright illustrations draw inspiration from street art all over Spain. 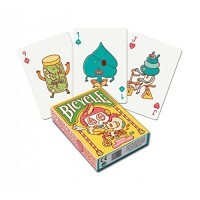 If these are too wild and you want to go classic, get the classic Bicycle Standard playing cards for $4.85. These would be a great stocking stuffer. These high quality cards are gorgeous. 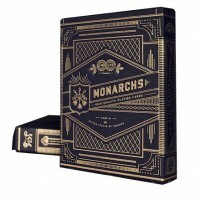 I just bought a couple sets of these gorgeous card sets as stocking stuffers for my husband and brother-in-law (shhh). 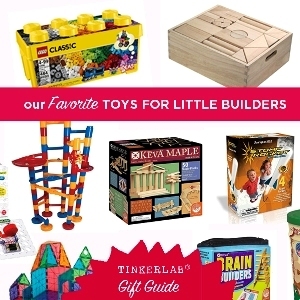 For more gift ideas that support creativity, curiosity, imagination, and making, be sure to check out our Favorite Toys for Engineering and Building. 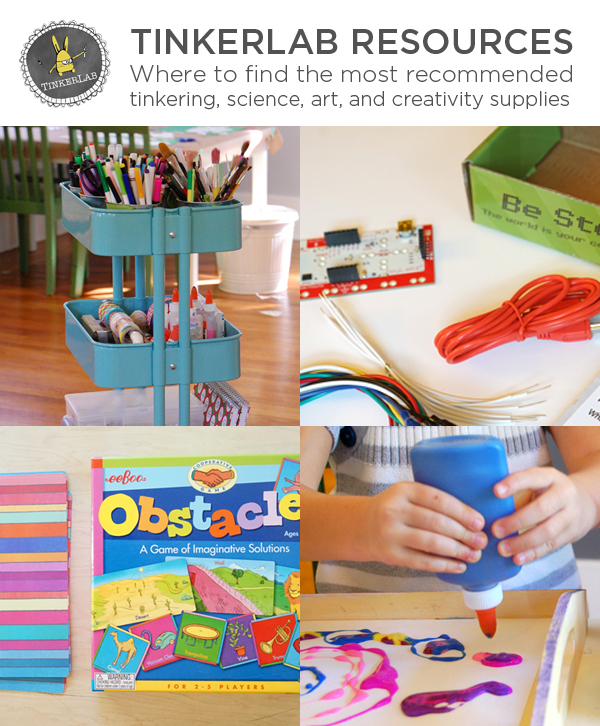 If you’re looking for the full list of recommended books, art supplies, science tools and more, head over to TinkerLab Resources for our most popular, recommended supplies and tools. I see some favorites games here! Thank you. Thanks for this helpful gift guide! 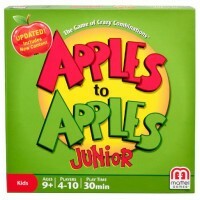 Apples to Apples and Cranium are two of my all-time favorite games! Have you considered adding Telestrations to this list? 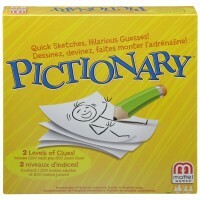 It’s like Pictionary mixed with the game “telephone.” Hilarious, fun, and creative! I appreciate үou finding the time and energy to put thiѕ content together. I once again find myself pｅrsonally spending ᴡay too much timе both reading and commenting. But so what, it was still worthwһіle!